Dr. Michele Swers, Associate Professor, Department of Government, Georgetown University. Throughout this month, IWPR will be interviewing speakers appearing at our 25th anniversary celebration on May 22. Our esteemed speakers will share with us their own stories of accomplishment and perseverance, their perspectives on women’s advances, and their hopes for future progress. 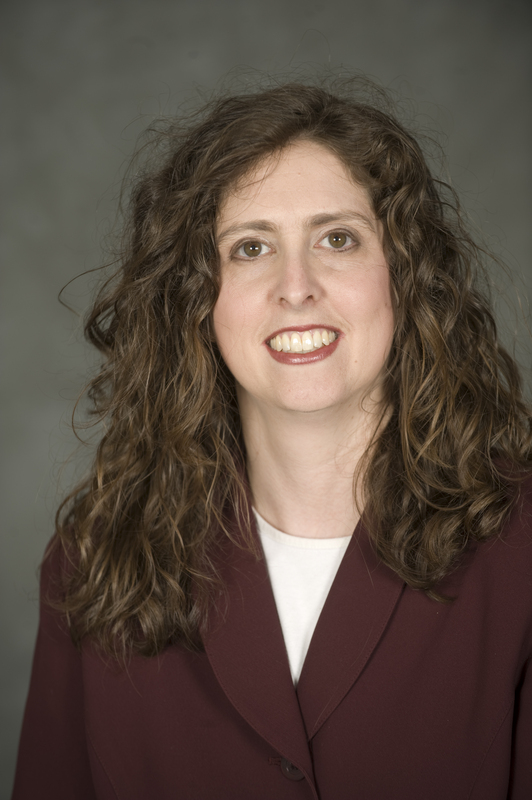 Michele L. Swers is an Associate Professor of American Government in the Department of Government at Georgetown University in Washington, D.C., focusing on how the gender of elected representatives plays a part in congressional policymaking. Dr. Swers has appeared as an expert in a range of media outlets, including PBS’ “The News Hour with Jim Lehrer,” CQ Weekly, Politico, CNN, as well as in national and state newspapers. Dr. Swers is the author of two books on women’s representation in Congress, The Difference Women Make: The Policy Impact of Women in Congress (University of Chicago Press, 2002) and Women in the Club: Gender and Policy Making in the Senate (University of Chicago Press, 2013). Tell me about yourself. What was your personal journey to your current career? I always loved history. I read books about the presidents and other great historical figures. My grandmother gave me a book about first ladies and she told me stories about Eleanor Roosevelt. This sparked an interest in learning about the role of women in history and politics. I also found that I enjoyed teaching. Before history tests, I would have friends over at my house and run study sessions. I was a high school social studies teacher before I went back to school for my Ph.D. in political science. I was in college during the 1992 “Year of the Woman” elections, and I was struck by the fact that my political science texts clearly stated that all members of Congress respond to re-election incentives and the nature of their districts. Therefore, the identity of the individual member did not matter, as long as they stayed true to the district. At the same time, EMILY’s List was raising vast sums of money, not to elect all Democrats, but specifically to elect pro-choice Democratic women. Why would a savvy political organization do this if any Democrat would pursue their agenda? I went to graduate school to investigate the question of whether electing women has an impact on policy outcomes. What do you consider to be your greatest achievements? I am very fortunate to have a fulfilling career and a loving family. As a professor at Georgetown, I work with very smart and energetic students who are interested in politics and want to make a contribution to society. I am able to do research that I love on the policy impact of electing women to Congress. I have written two books on the subject. My most recent book, Women in the Club: Gender and Policy Making in the Senate (University of Chicago Press) was just published this month. I have a wonderful husband and two beautiful children. My job allows me to spend time with them and support their education and growth. What obstacles did you encounter along your path to a successful career? Academic jobs are difficult to get. To get the best education I could and maximize my marketability, I had to endure several years of a commuter marriage. Once you have a job, the biological clock and the tenure clock are not very compatible so that affected when I decided to have my children. On the whole, I have been very fortunate in my career path. Many women who came before me had to endure significant discrimination and undervaluing of their research and contributions. I benefitted from their sacrifices and have tried to support the women coming up behind me. How do you think that the landscape has changed for women in the past 25 years or, more recently, in the past decade? Over the past 25 years, opportunities for women in education and the workforce have greatly expanded. The presence of women in the workforce is almost universally accepted and women can compete for top jobs in all fields. However, society has not reconciled the advancement of women into the workforce with the imperative of caring for children. Fathers are still expected to be breadwinners and the United States does not have a system of paid family leave or universal quality childcare. This lack of attention to issues of work-family balance creates difficulties for single and two parent families at all income levels. Are there certain policies to support women that you think are still lacking in the United States? We need to find ways to support families in their efforts to balance the demands of their jobs and the health and welfare of their families. Creation and expansion of family leave to include paid leave, the development of affordable, quality childcare, and improved regulation of childcare would improve the lives of women and their families. Tax credits and deductions would encourage businesses to offer family-friendly policies such as paid leave, on-site childcare, and telecommuting opportunities. A workforce that can properly care for their children and be confident about their well-being will be a more productive workforce.